Perfectly Created Chaos! 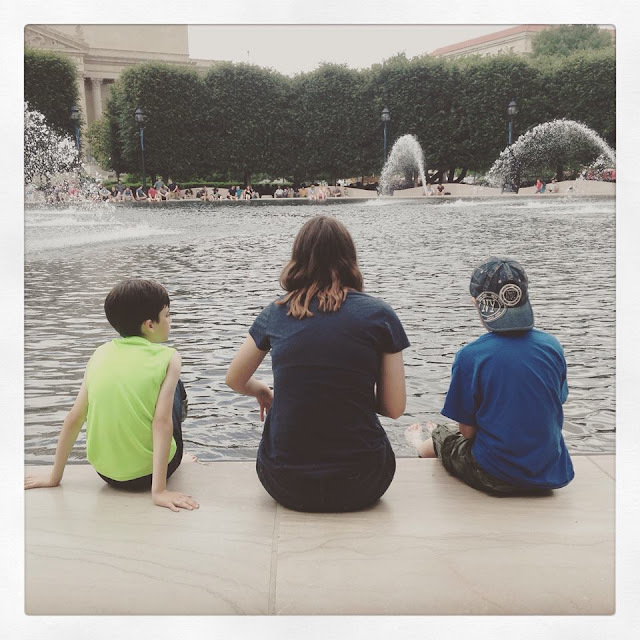 : 5 Times It's (almost too) Hard to Be a Parent. 5 Times It's (almost too) Hard to Be a Parent. For most, parenting is among the most rewarding, gratifying and the fulfilling parts of their lives. However, let's be honest as well. Parenting, is tough work, period. It's never ending, it's exhausting, it's all consuming and overwhelming. It's a whole bunch of "No, you cannot do that's" in a sea of "But, whhhhyyyyy, Mommy?!"'s. It's "yes, you must eat your dinner to have dessert" surrounded by a symphony orchestra playing, "But I don't like this, Mommy!" It's 25 "GO TO BED's" yelled upstairs every night; and then "Get up, we're late! "'s the next morning. Still, we do it. We get up in the morning, put our big pants on and parent our children, in hopes that one day they will be contributing, functional members of society with good manners, successful families, friendships and careers of their choosing. We also hope that one day, they will exhibit the same amount of strength, stamina and determination when it comes to their own parenting skills. 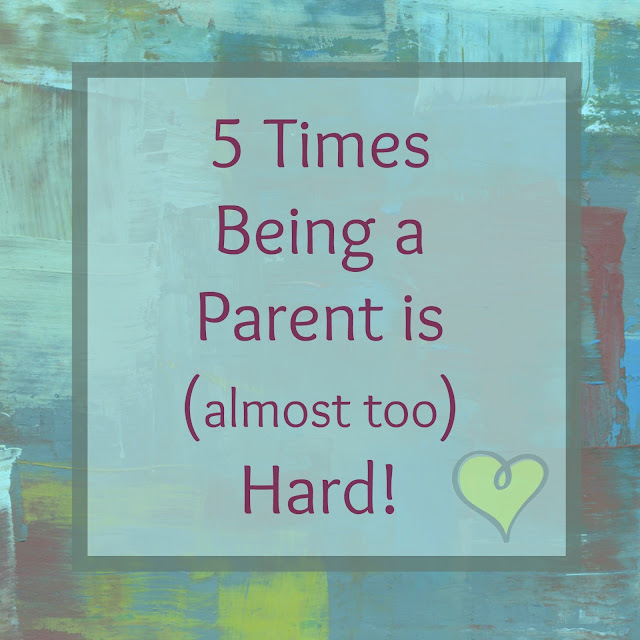 However, there are times when being a parent just almost seems too hard. Moments where, I know, I've wondered..."what was I thinking?" Perhaps these will sound familiar to you as well. 2. When they Learn Independence: That "depend on you for everything" scenario I talked about a minute ago? Yeah...you'll wish for it back when they turn 2 and 3 years old! Any parent that has taken her "scuba shoe, snorkel wearing, polka dotted princess dress with a wand" daughter to the grocery store, knows exactly what I"m talking about! Or any parent who has listened to countless "NO, I don't need help!" and "I do it ...I do it... I do it, Mommy! "'s also understands. Fast forward and before you know it it's time for driving lessons, group dates, and college campus visits. These are all stepping stones to being self -reliant, to being able to fly away from the nest one day; but still...watching your children take these important steps isn't always easy. 4. When They Disappoint You: I know this probably sounds harsh and some may be taken aback by that statement. However, I believe it's true. Parents don't just corner the market on disappointing children when it comes to having to say no to things, or changing plans. When your child comes home from school with a failing grade on a test, or they lie to you about something, or they are mean to somebody...that's disappointing! It's almost having to admit a moment of defeat in parenting. It's hard to spend time teaching our children the difference between right and wrong only to have them do exactly what we told them not to do! --When I let them go to say "I do"
Very insightful list! I remember all to well 1&2 and yes I do miss when my daughter was younger. Thankfully she is only 7 and I still have many more years of being her mommy before I have to start letting her go on things. I bet that will be hard. Thanks for sharing!